2008 NEC 392.7 Which refers you to 250.96. 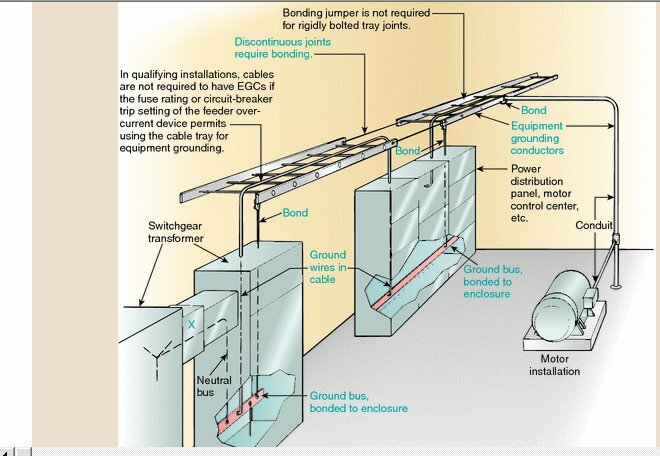 Requires bonding on Conduit raceways to the cable tray. Does anyone have or know where theres a Good Illustration of this??? I agree the "bond" they show is not really defined but I assume you could use a pipe bonding clamp with the appropriate EGC conductor to a lug on the tray. BUT Cooper to the rescue!